Boiledbeans » D and D? Google maps quest. 8 bit version of Google Maps for April Fool’s day. google’s april fools prank with google maps going 8bit old nes style. Man, that’s a lot of work for a prank! Google Map April Fool prank. Google Maps for Nintendo Entertainment Systems. Google April Fool joke. 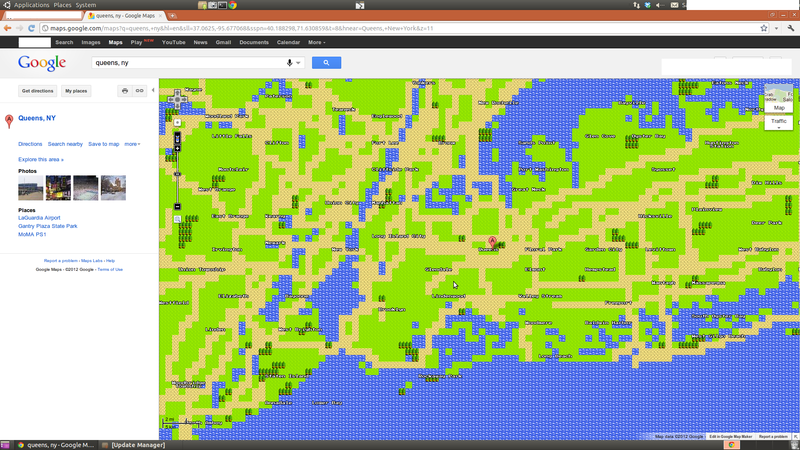 8-bit maps in google maps. Retro 8-bit version of Google maps. Google Map’s Quest Mode. April fool’s day offering that changes map tiles into 8bit color. Google’s April 1 prank: 8 bit Google Maps.